German Parliament today decided to extend German military presence in Sudan’s Darfur region. Since the German military is a parliamentary army, the members of parliament need to decide about any military involvements of Germany. 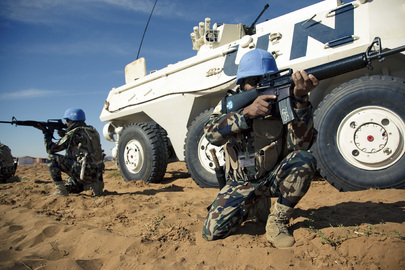 While ten soldiers were involved in the AU/UN-Hybrid-Operation in Darfur (UNAMID, based on Res. 1769, 2007 and Res. 2063, 2012) until today, the parliament voted for some additional 4o soldiers. With that the German contingent in the region will amount up to 50 soldiers from the Bundeswehr in total. Read the whole Conclusion of the vote in the parliament.